In Florida’s heat and humidity year round, bringing the right water bottle to Walt Disney World is a must. You can’t walk around the parks with nothing to drink. So you’re either going to buy beverages or bring your own. 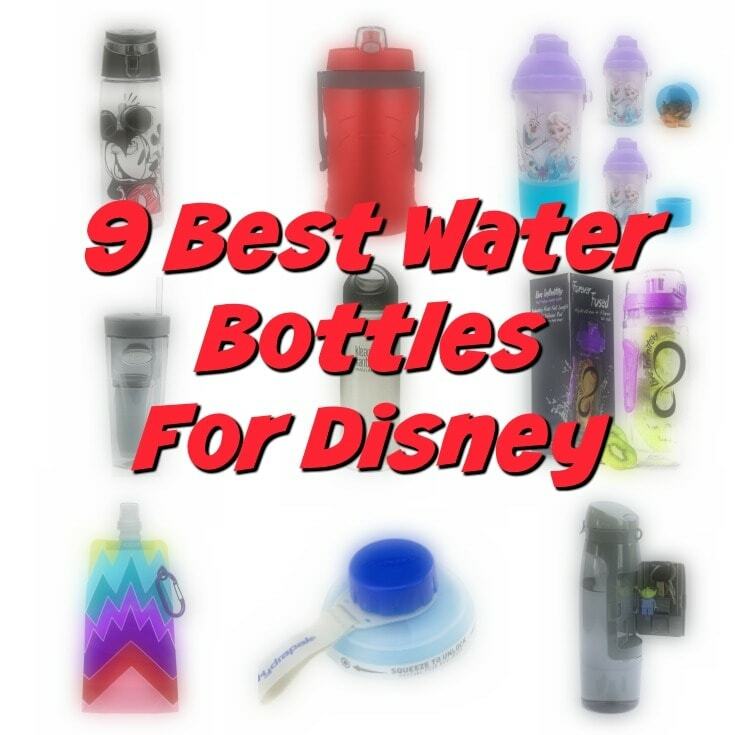 If you don’t want to throw money down the drain -and into a landfill – then bringing these best water bottles for Disney World is super smart! 1. A bottle of water at Walt Disney World costs about $2.50 per bottle for around 16 oz of water. For a family of 4, that’s more than $10 each time you’re feeling thirsty. If you only buy five bottles of water each person a day (you’ll need that much or more in the heat), that’s more than $50 a day! Multiply that number by how many days you’ll be on vacation. Can you imagine all of the money that you’ll save by buying a reusable water bottle now? 2. Those plastic water bottles sweat like crazy. They might be cold when you get them, but they warm up too fast and sweat condensation all over, making it hard to hold or messy to put in your bag or pocket. 3. Heat exhaustion is a VERY real threat when at Walt Disney World, especially in the heat of Spring, Summer and even Fall (it was still close to 90 degrees in December last year!) It doesn’t take long to overheat with the combo of walking, being surrounded by pavement and hard surfaces reflecting heat, the temperature itself, and the soaring humidity. 4. You can get ice cold water for FREE! Yes, free. You can go up to any quick service counter and ask for a free cup of water, whether you’re ordering food or not. It’s always been a Disney policy. However, you’ve got to have a place to store the water if you don’t drink it all immediately. You can enter attractions and queue lines with bottles, but not open cups of liquids. So save LOTS of money, save time and be better to the planet, too, by buying these reusable water bottles for your Disney vacation – and you can still use them when you come back from Disney! We use affiliate links. These are at no cost to you. See our Disclosures page. 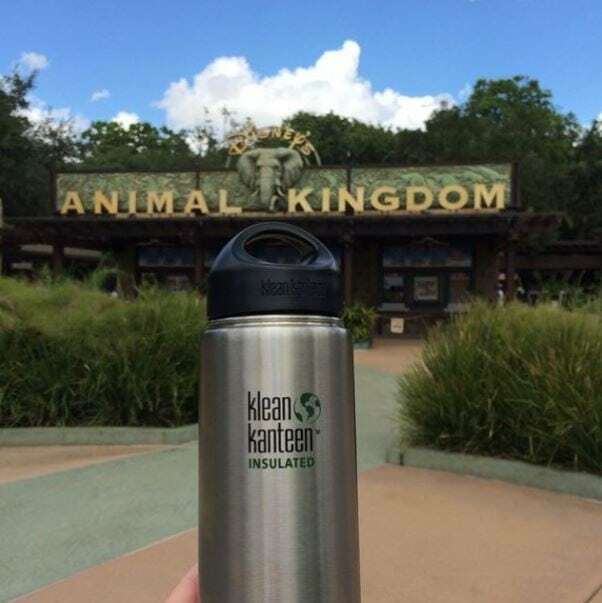 We cannot say enough great things about Klean Kanteen products. We’ve put them through the test in scorching summer heat at Disney theme parks, and they always work amazing! Add ice to these insulated stainless steel bottles with a wide mouth (important for when you’re washing) and it will stay cold for hours and hours with no sweating. 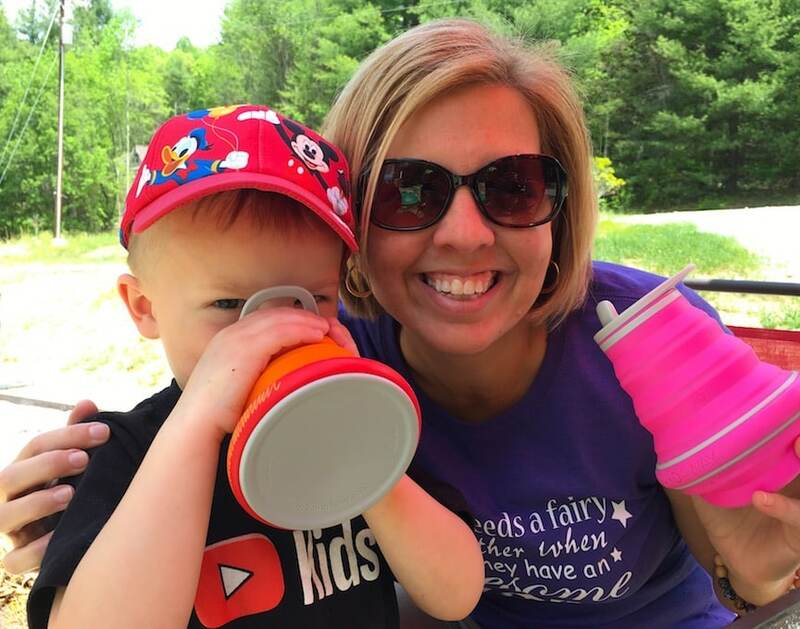 Carrie bought one specifically for storing hot water for when her newborn son visited Disney World and she needed hot water to mix with formula. The water was actually kept so hot all day long, she had to cool it off hours later to use it for the formula. 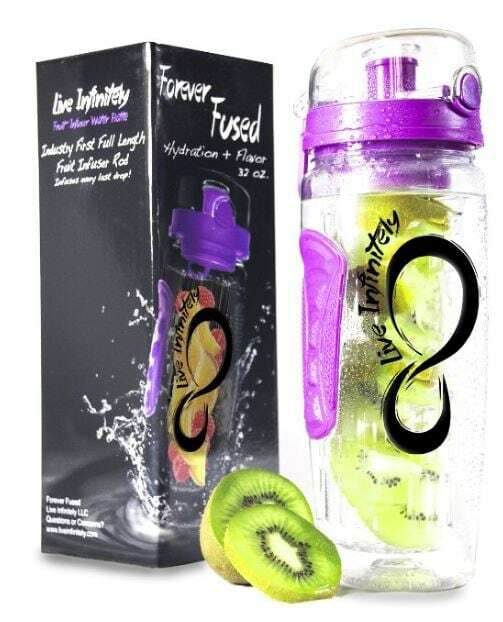 This is a multi-purpose bottle, easily transitioning from hot (think coffee or tea in the morning) to cold (ice water for the afternoons) in one day, or appropriate for drinks all year round. I recently packed hot cocoa while hiking in the Grand Tetons in May. Want something Disney themed for your Walt Disney World vacation? We get it. Why not pick a different Disney character water bottle for each member of the family? These Zak! Designs Tritan water bottles are break-resistant and BPA-free, yet show of your individual Disney side for under $10! That’s less than the cost of three bottles of water. The only water bottle tumbler with filters that reduce lead (along with lots of other nasty stuff), we love these ZeroWater water bottles. Check out our surprising video when we put the pitcher system to the test. It really works! Filtering water lets you refill from any tap or water fountain without worry, creating cleaner water for drinking and possibly disguising any weird tastes, too. 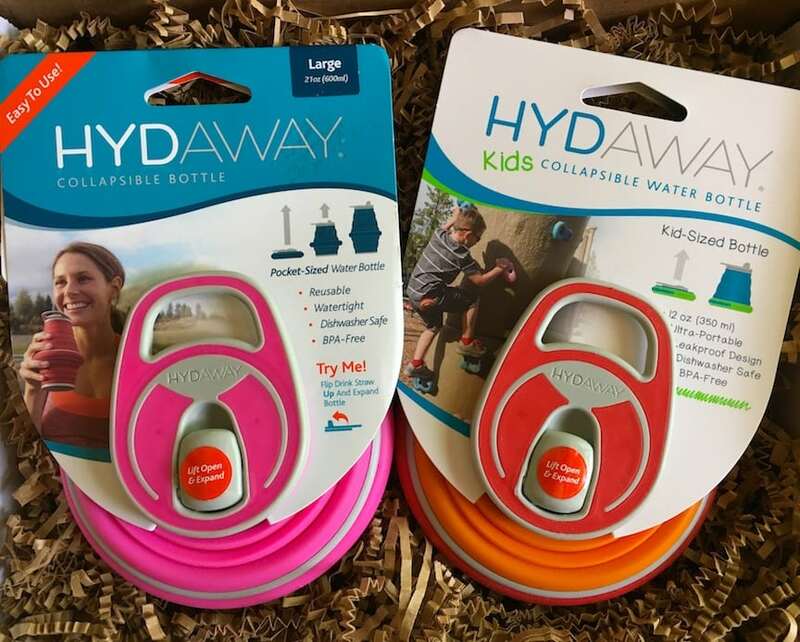 We got a couple collapsible water bottles from Hydaway to try out for a review and instantly loved them! With a wide enough bottle mouth to clean inside (yes, you can put them in the dishwasher), these silicone water bottles are BPA free and fold down to just one inch. They’d even fit in a pocket or purse when folded. And the handle can be latched to a belt holder or other hook on a stroller, backpack, etc. The adult’s size is the same size as the kid’s size when not fully expanded. The adult’s size can be expanded further with a pull on the bottom. So either choose a stable base or a larger bottle that can fit in cup holders. 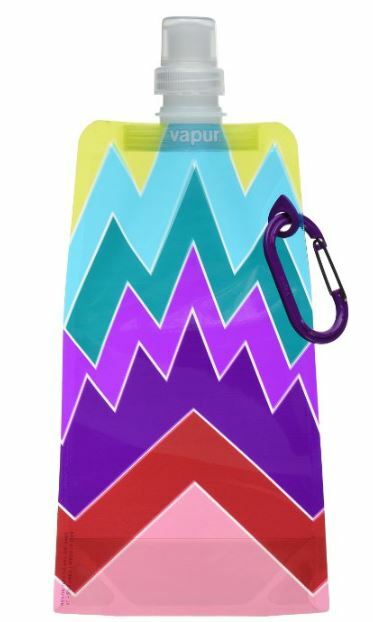 We also love the Vapur Anti-Bottles water bottles that flatten as you enjoy the water throughout the day. They fold up flat when not in use (perfect for when it comes time to pack up your luggage) and with a handy hook you can strap them to a belt loop, purse, or backpack. They are much trickier to clean, though, just an FYI. Add flavor to your water effortlessly with these infusing water bottles. Add fruit (from your breakfast buffet at the hotel! ), herbs such as mint, tea bags or whatever flavors you want to flavor your water all day. The longer it steeps, the bolder the flavor gets. Want water for the whole family, without having to keep track of individual bottles? Fill up this 64 oz. 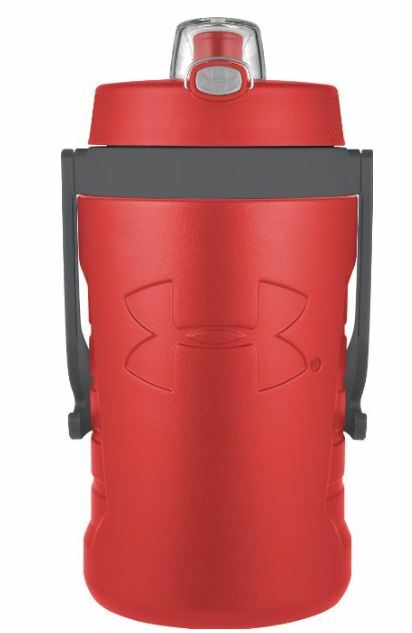 Under Armour Insulated water bottle and you’ve got enough chilled water to last for a while. Perfect when you want to fill up once at the beginning of the day, and not worry about water bottles for a while. 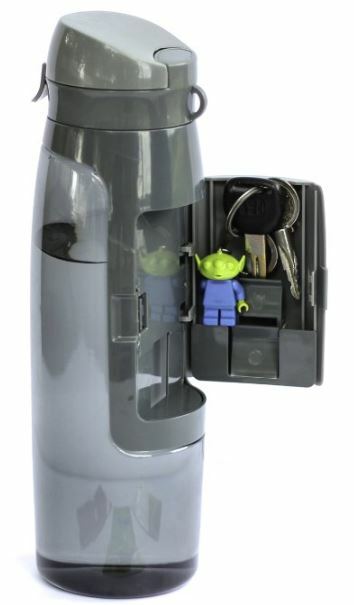 Water bottle with a compartment for keys, credit cards and cash?!? BRILLIANT! The Kangaroo Gym Water Bottle has a secret compartment to store your essentials. 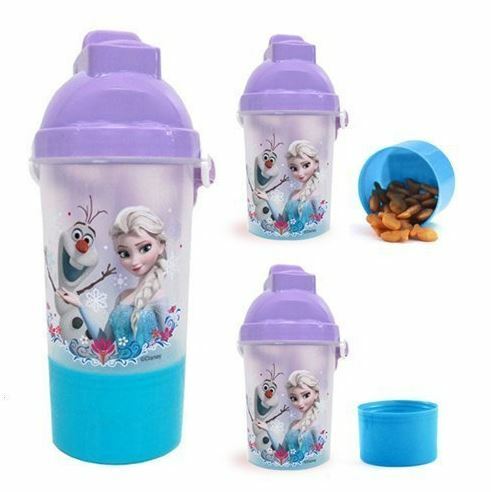 Kids will feel stealthy – while also not asking you to get out the bags of snacks – when you give them one of these Frozen water bottles with a snack compartment attached. Fill it up with water and food such as goldfish or pretzels, and they’ve got their snack situation under control when they want. Thanks, Ella! Yes, Brita definitely does work. With it’s carbon filters, it will remove bad taste and sediment. We just tend to want to get rid of everything nasty as much as possible. Some of the other brands can remove even more toxins and VOCs from the water. However, if you’re looking for a budget-friendly option that definitely improves taste and removes major contaminants, then Brita is a good choice! Yes, I totally agree with what you said. Bottled water is very expensive so I think that having reusable water bottles can save a lot of money. I am interested to buy Frozen Water Bottle. I will give this to my daughter as a gift for her 8th birthday. I think that she will definitely love this. We hope she likes it! Do you know if Disney sells a filter drink bottle? I would like to buy one for our trip so we can drink tap water on the go, but it makes sense for it to be a souvenir too. I can’t find the answer to this anywhere! We are not aware of any filtered water bottle. Never seen one anywhere on property!